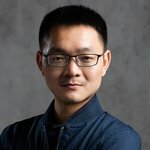 Changjia is the CEO and Founder of 8btc, blockchain researcher, Sci-Fi writer, editor and co-author of Bitcoin: A Real Yet Virtual Financial World (2014) and Blockchain: From Digital Currency to Credit Society (2016). In the past three years, more than 120 programmers have submitted over 5,000 code improvements for the Bitcoin client, while thousands of programmers developed applications and websites for Bitcoin. However, it is impossible to find an administrator or an operating organization in this concentration of computing power which is the largest to date. Bitcoin is such a unique decentralized product that anyone can get involved to develop code, or set up a node, or process trading data by completing the computing tasks within the network, but no individual or organization can really dominate Bitcoin, even founder Satoshi Nakamoto himself. Some believe the true identity of Satoshi is a collection of three individuals, as an uncommon scientific phrase appeared both in the Bitcoin White Paper and in a patent application filed by those three people. It can also be noted that the Bitcoin White Paper is written in the first person “we” rather than “I”. Wikipedia, run by only five people, is similar to Bitcoin as it promotes decentralization and has removed the fence of professional institutions, inviting everyone to be involved in the field of knowledge, thus making it possible for individuals to complete epic projects of knowledge via large-scale cooperation. Bitcoin, administrator-less, breaks the monopoly of financial Brahmans and creates a decentralized reality of millions of LSI devices defeating a central server guarded by high-ranked flamens via distributed self-organization. Wikipedia is a 24/7 library that never closes and can be viewed and edited at any time. Likewise, Bitcoin is the global cloud online 24/7, with no more frustrating “non-business hour” roadblocks. 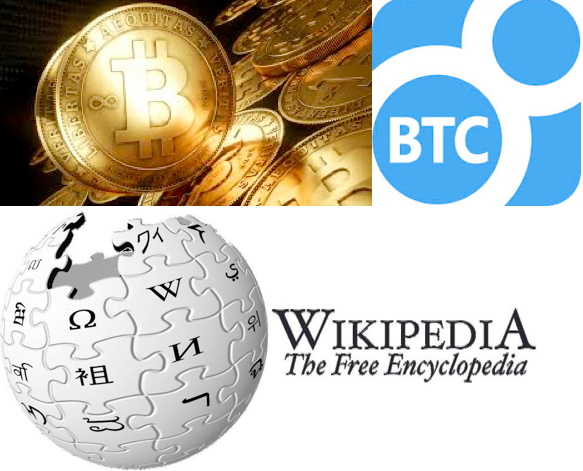 The large-scale cooperation of both Wikipedia and Bitcoin is quite open-ended. As long as a page of Wikipedia is not locked, anyone can edit it to make it more accurate. In Bitcoin communities, anyone can code, develop applications and can work towards greater security. Both have endogenous mechanisms of motivation. The activists in the Wikipedia community can gain more respect and approval of articles by voting. Wikipedia is based on sharing knowledge. In the Bitcoin economy, miners mine to process trading data and provide computing power, while at the same time gaining Bitcoin in payment. The voting right represented by the computing power bestows the mine’s strong sense of citizenship. Their responsibility and motivation help secure the whole network of Bitcoin and disincentivizes a 51% attack. The result of self-organization is specialization. There are three types of protections in Wikipedia: full, semi, and move. An administrator has a strict framework to prevent trolls from making non-constructive edits, while super users can block the trolls according to advice from elite editors. In the world of Bitcoin, the flat distributed network is under quiet transformation. Some nodes may have more connections, more computing power, or other functions that an ordinary client doesn’t have. Bitcoin has some ASIC devices with tremendous hash rate, public wallets with blockchain.info, wallets set to receive interest from a Bitcoin bank, mobile clients on smart phones, or offline wallets with a cold storage mechanism. Specialization also brings efficiency, which is an old rule of economy that still applies in open-ended self-organized projects. The users of Bitcoin realize that it is not necessary for everyone to download the blockchain. Everyone just needs an online wallet or light clients. Also it is not required for everyone to become a miner. Electronic wallets are not even necessary, as some prefer to remember a private key in mind, making it impossible for anyone to find the treasure some hide in any physical storage equipment. It can’t be denied, however, that physical storage is part of the Bitcoin economy. Like the big stone accidentally lost in the sea by people on Yap Island, cold storage wealth should be considered valid. Some don’t even like the concept of Bitcoin but still can use the blockchain and Namecoin, a distributed domain name system that merged with Bitcoin blockchain by merged mining. 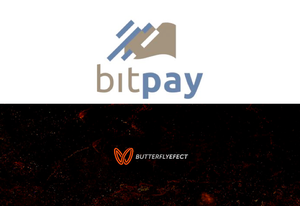 Individuals who understand Bitcoin can create new currencies like colored coin, Mastercoin and Bitshares. These variants of Bitcoin can perform financial functions such as distributed stocks, futures, and Bitcoin assets linked to real world currency. Such variants of Bitcoin are undeniably part of the Bitcoin ecosystem. I personally initiated a campaign of writing the first book on Bitcoin in China not long ago, and the process was totally decentralized. This book was written by more than ten members of the Chinese Bitcoin community from China Business Network and 8btc (www.8btc.com). There was no unified theme nor tight organization. The views of the writers were quite different and at times even contradictory. Yet, a difference in views has not stopped us from completing the book. This book represents a small-scale open-ended cooperation, as well as a critical thinking experiment. Similar to Bitcoin, all ideas can be included in an open platform to continue to evolve to highlight the essence of an open self-organization.